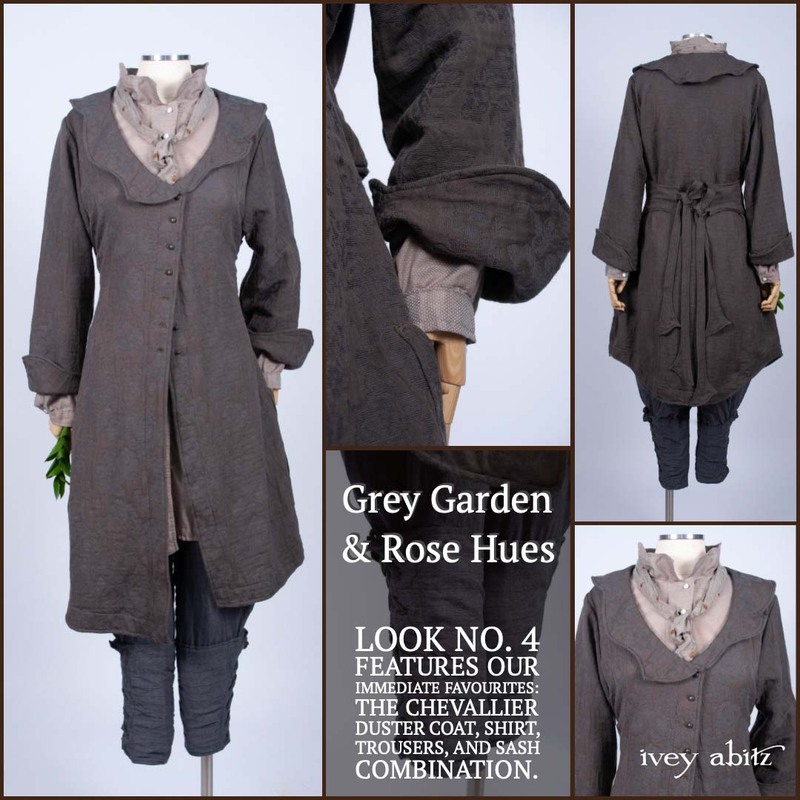 Designer Notes from Cynthia Ivey Abitz on the Spring Summer Collection hues. 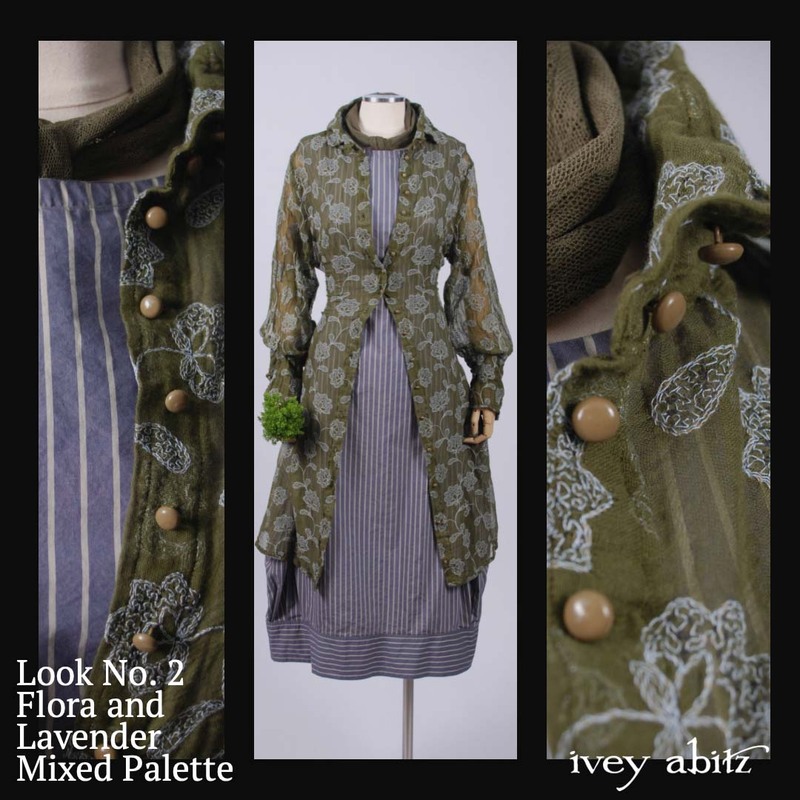 The palette in the Spring Summer 2019 Ivey Abitz collection is no accident. Like everything in Ivey Abitz design, it is intentional and symbolic. This season, the fabric palette represents feelings synonymous with spring and summer: Joy, Renewal, Calm, and Certainty. Scroll down for designer notes on on these Spring Summer themes. This juxtaposition of warm green with cool lavender blue creates a harmonious tension that lifts the spirit. There is joy when such hues are paired together. The Coulson design combination of the Coulson Coat Dress and Coulson Frock is a spot on pairing that gives even more resonance to the hues. Cool blues with a hint of rich browns create a refreshing combination that calms and quenches the need for renewal in everyday life. 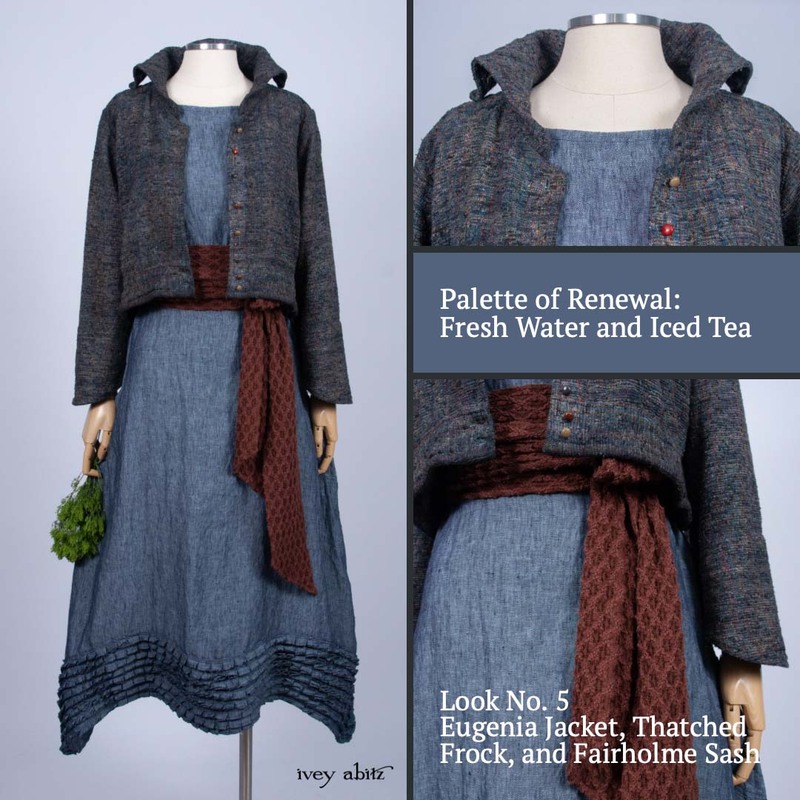 You will find delight in the easy fitting and flattering Eugenia Jacket and Thatched Frock combination. Add a hint of Iced Tea Stretchy Lace around the waist or neck for the cool/warm balance that is the foundation of the Ivey Abitz Spring Summer 2019 Collection. When subtle cool and warm hues dwell together, it puts us at ease. Everyone wants to be embraced by them. In the new Chevallier design collection, you’ll walk a little bolder and stand a little taller. They inspire such comfort that you’ll forget you’re wearing them. And that’s the point—Ivey Abitz clothing is meant to accompany us during each and every day. Spring ushers in a feeling of newness, though it is familiar and happens every year. We can always count on a new season. 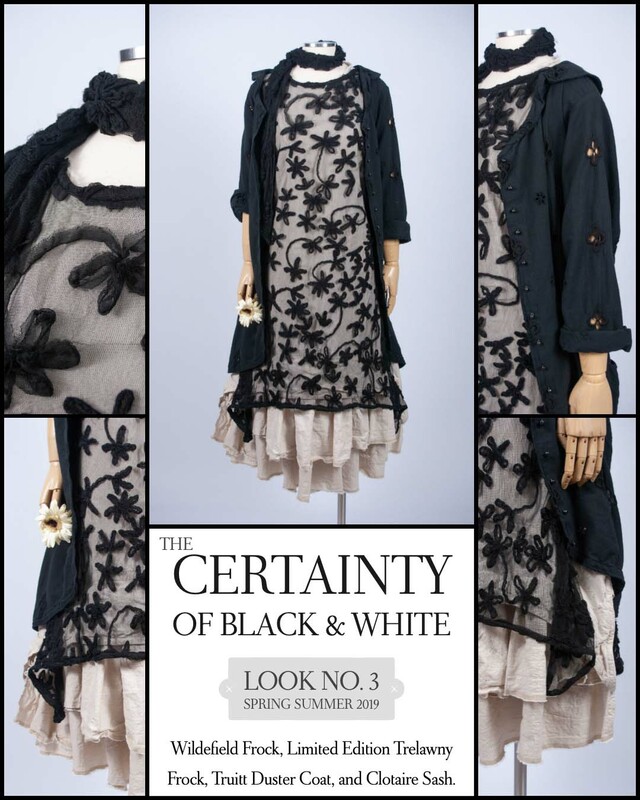 Such dependability comes in shades of black and white, giving us a sense of certainty no other hues can—especially in these easy fitting design and fabric combinations.